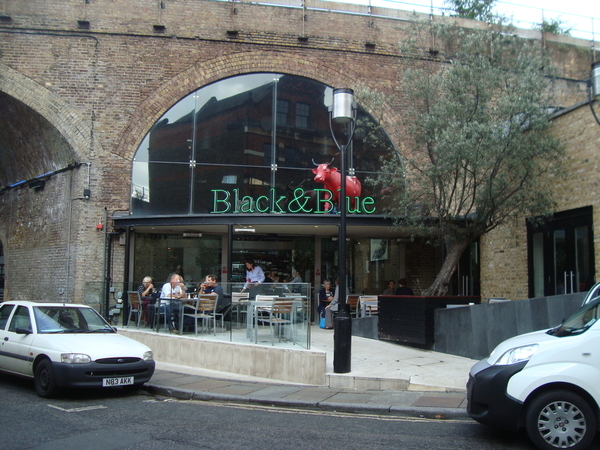 Not quite as big but it is in London. Roo. Ha, Ha, Happy New Year! 12 toofers?? I'm missing 8 due to wisdom teeth coming in with no room. Didn't even hurt until I was 50. Had 2 removed years before that because there wasn't room for them. Reissue of the Menards Stake Truck with Barrels. WOW!!!! A 32 oz. 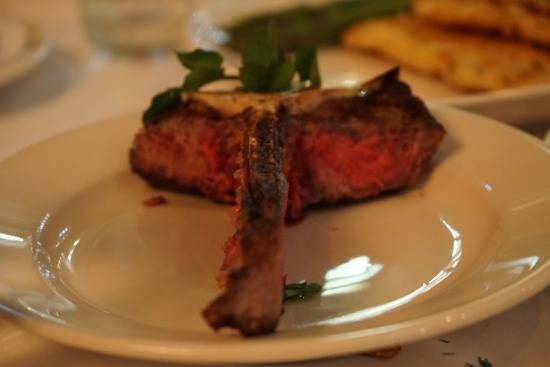 med rare prime rib bone-in - yes sir. That's how I like them - no sides necessary, just a big mug of cold beer. I could go for a diner. 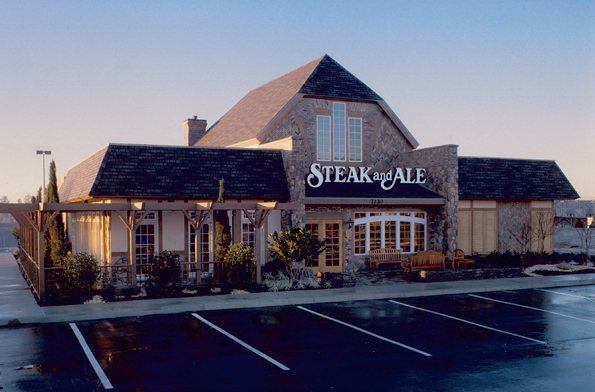 I don’t know names of any local steakhouses in Menardsville, so, Cabinet Bob’s Steakhouse? Did you guys see the new Menards 40ft Schneider containers they released today? Might have to get some. Steak that's grilled, plus 10 O's. it is a diner with 10 barstools. Mark is getting wise to us guessing it right most of the time, now he is getting tuffer. Yes it is a restaurant with 10 tums to help you get past the gas attack which will come soon if you eat that steak. Flat car load of gas tanks placed side by side. 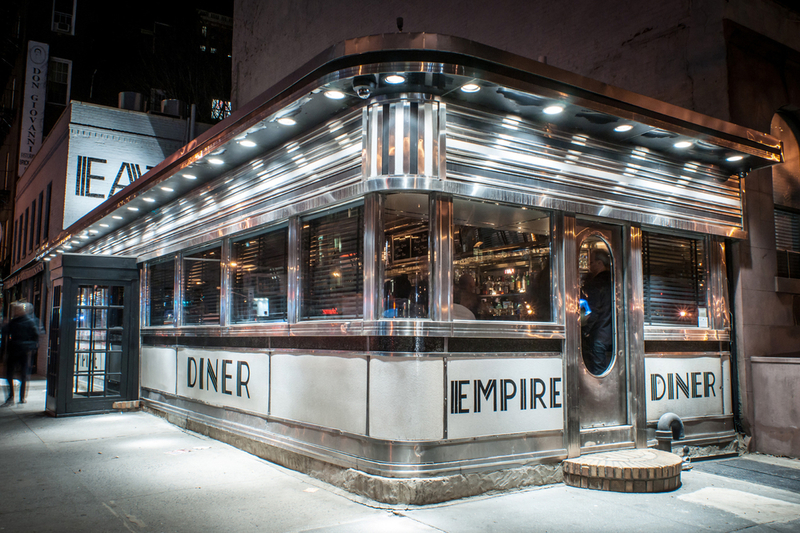 An Empire Diner would be very cool! Here is another hint for you! Keep an eye out for our new release coming on Wednesday! Mark the Menards Train Guy! 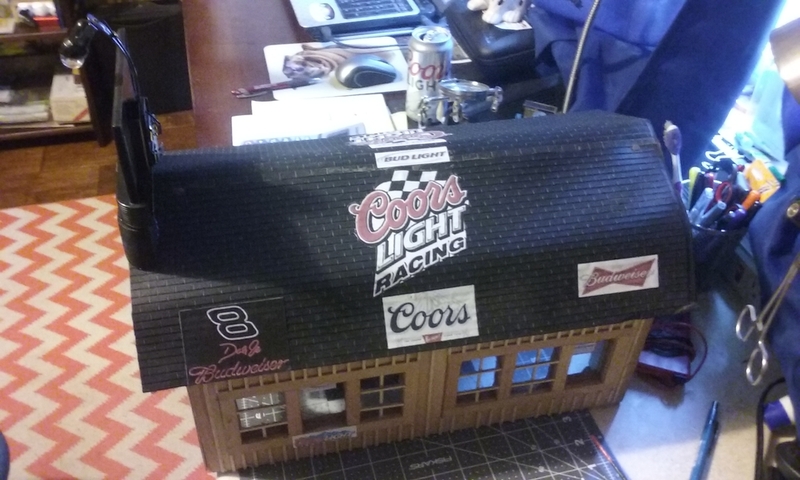 A BEER car from the soon to be released BREWERY! your looking at 12 on one side, that would make it an 0-24-0 switcher..
Flat car with a stake truck …..
6 freight trucks with couplers (and NO thumbtacks! ) means 3 cars. So I'm guessing not a diner . Big shot out to Menards Support! My Shell truck flat bed car came with a missing cap on one of my trucks, and they sent me out a replacement truck that was easy to replace. No guesses from me on what the new item may be... but that looks like Bettendorf-type trucks. All I recall being used on Menard's "Traditional" sized stuff is roller bearings. 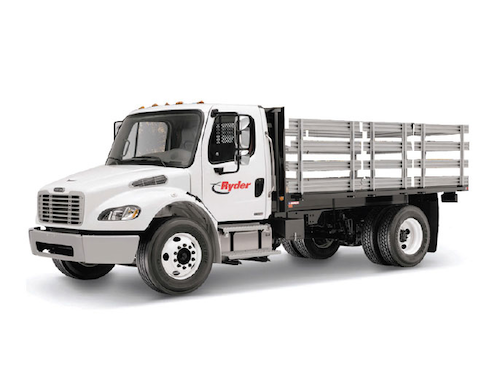 If I am understanding that past Menard's traditional products were equipped with roller bearings, then new Bettendorf-type trucks on upcoming products (like the traditional sized) would be a very nice touch. Okay a cattle car 3-pack but how do the port holes fit in? How about 3 "B" units, 4 portholes each, in different road names! 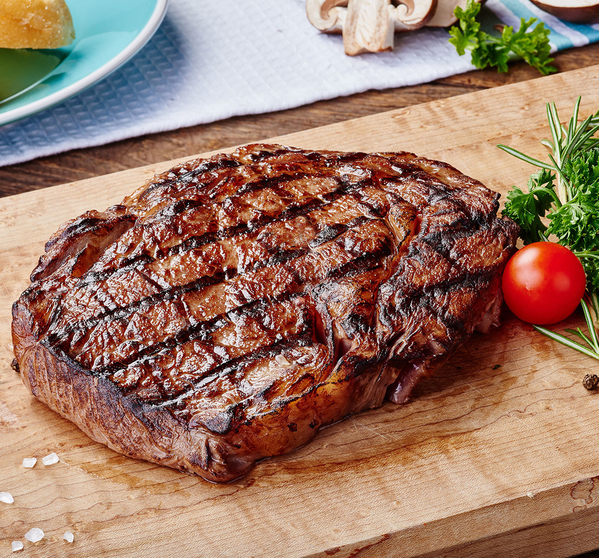 But how do steaks fit in and does Menard's really want to go down the locomotive path? Not much to add here but I did notice a couple of things about the clues. I googled the steak picture and it's a 12oz ribeye. In the first picture there's 12 portholes, eyelets, windows, who knows. Finally, in the picture of the trucks, Mark states keep an eye out for the latest release...I'm still baffled but there does seem to be some connections with eyes and the number 12. A trio of cattle cars carrying Wisconsin beef cattle. I have rarely been close in any guess but this may be it, I think. Using Paul's guess, I can visualize a 12-axle depressed center bed flat car. Maybe with a transformer load for delivery to one of their power plants. D for Dining Car !! What are you hinting at Bob? It can't be a ABA OF A HOOD UNIT, COULD IT? After thinking about it, not happening. It is a 3 unit container train. They just released some containers, hmm!! Are you a fellow menards worker?? Am I losing my mind or at one point did this say January 10?? Nope, it said the 10th! Hmm.... Cabinet Bob's A.B.. plus the six wheel sets makes me think it's a 5 car articulated intermodal set. 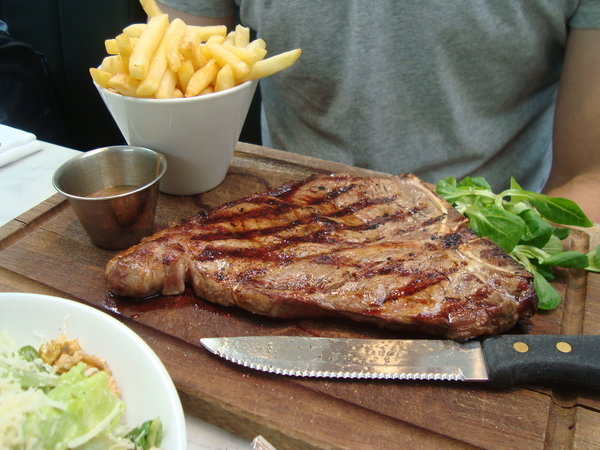 As for the steak, that's a tough one. It is was horse meat, then it would be Norfolk Southern!! Hang in there Brother! Its almost over! okay so with Cabinet Bob's A, B,... and 12 portholes and 6 2 axle trucks and a steak, could it finally be Menard's first loco. An A-B-A set of Beefs? Seems like it would be the cattle car as suggested earlier in the post. 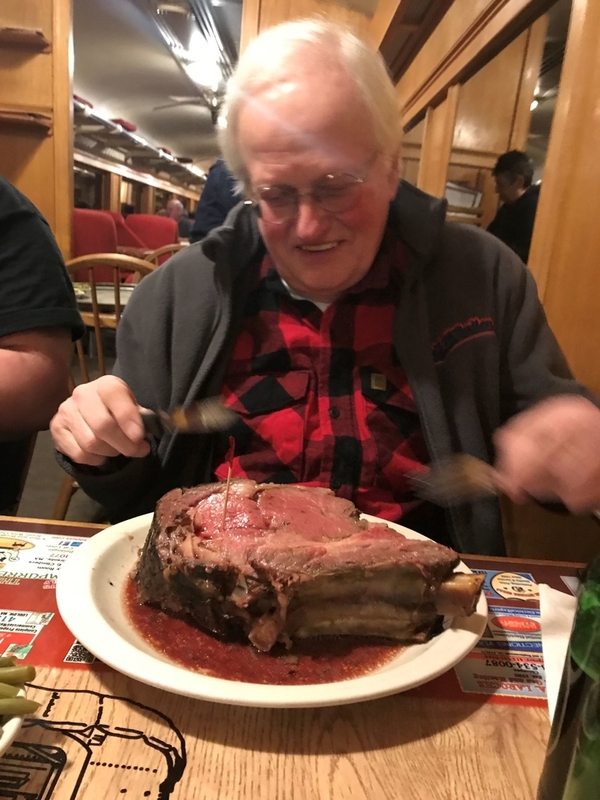 Grades of beef....trucks...and a steak. Maybe it has a stockyard as well. The Basics: Every railroad moves freight. But what if the freight comes in less-than carload lots? How does a railroad track maintenance crew haul their gear? And what do businesses around the nation use for pickups and deliveries? They use a freight truck. 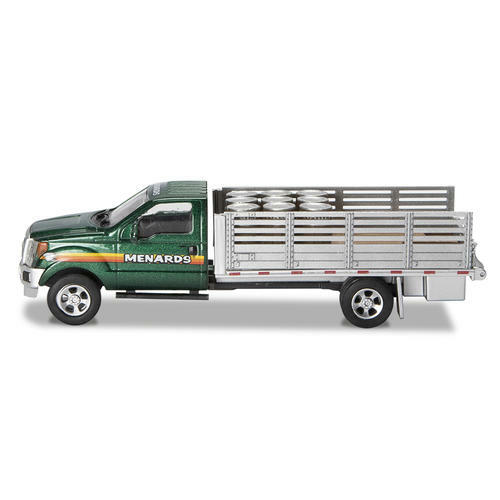 The new stake trucks from Menards are 6-½ inches long, 2-inches tall, and approximately 2-inches wide. Each vehicle has a Plug & Play connection for power the front headlights and red brake lights. Vehicles available are the Menard Cashway Lumber (279-4601), the Vetter Sash & Door (279-4602), a nice companion to the Vetter Sash & Door, the Pennsylvania Railroad (279-4603), the Santa Fe (279-4604), the Chicago & North Western (279-4605), and the Railway Express Agency (279-4606). Illumination requires a Menards 4.5 volt power supply, Menards SKU# 279-4061, 279-4062, or 279-4050 sold separately. Also available are two different accessory packs. The 9-Piece Plug & Play Accessory Pack (279-4681), and the 8-Piece Plug & Play Accessory Pack (279-4035) allow you to illuminate several vehicles or buildings with a single power supply. 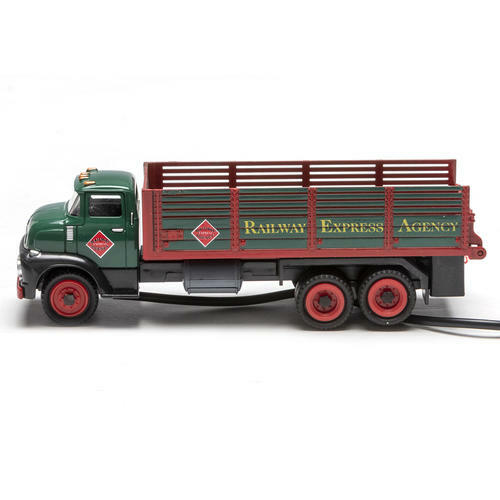 Why you need this: The styling of these vehicles make them at home on any railroad modeling the 1940s through the 1960s. The gentle curves of the front hood and fenders evoke iconic trucks made by Ford, Chevy, GMC, International Harvester, and Mack. The cab has silver accents for grab irons, door handles and side vents. The roof has five orange-painted simulated running lights. The front bumper and grillwork are a subdued silver color. The cargo compartment has a textured and painted simulated wood deck. The side slats are smooth and the rear tailgate can be opened and lowered. Flip the vehicle over and you’ll find fuel tank and even a simulated drive shaft. The axles are free rolling. Railroad and business names and liveries are well-done and eye-catching. Each vehicle has a foot long power connection for use with the Plug & Play system by Menards. Using the multi-connection pack you can illuminate several vehicles and structures and swap them out as you please. 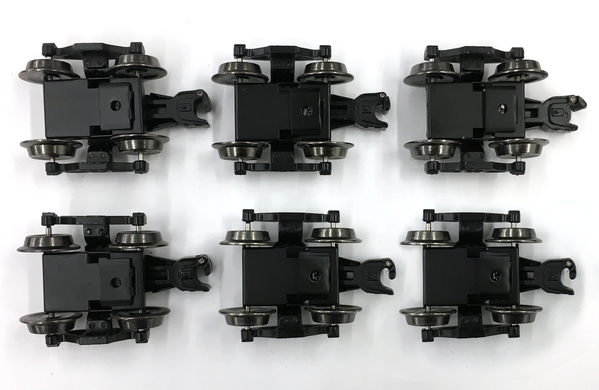 The 9-Piece Plug & Play Accessory Pack (279-4681) includes one four-way line splitter, one 5-foot, one 4-foot, and one 3-foot extension section. The three Y-splitters can power up to six vehicles. Have some old buildings you’d like to illuminate? The set includes two four-inch LED tape lights that can provide additional spot lighting wherever you need it. The accessory pack can do a lot! The 8-Piece Plug & Play Accessory Pack (279-4035) includes two 6-foot extensions (straight plug head), two 6-foot extensions (90-degree plug head), two male to female conversion pieces and two Y-splitters. George Bailey: You know what the three most exciting sounds in the world are? Anchor chains, plane motors, and train whistles! These are fantastic. I had recently been buying the flatbed trucks and turning them into road tractors for tofc trailers. Menards you could save me some work if you made some into road tractors. Mark, are these similar in quality to the ones the employees received? Not a steak truck, it is an open bed truck with fenced sides. 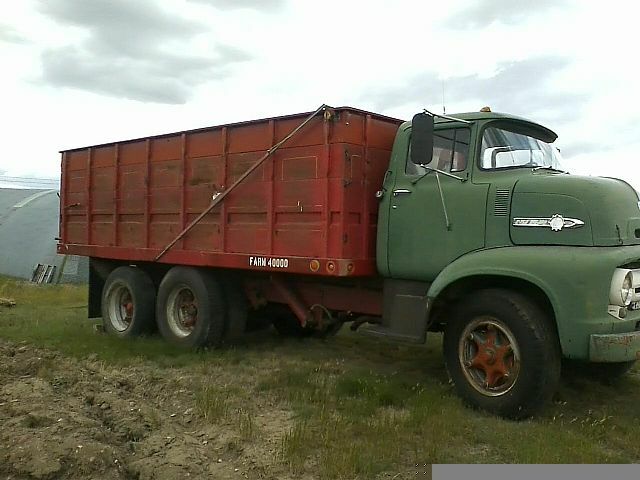 OK,, How about a open bed truck with fenced sides to keep the Steaks in? .. LOL.. But John, how does one reattach the shorter frame? BTW, I love the late 50's early 60'look. It seems to be missing in O scale! NOW we are talking........50's era vehicles!!!! I want a REA truck for sure!! It's probably me, but what did the above actually represent and how does it tie into the stake trucks ? Perhaps the lighted headlights on the trucks. There are multiple trucks being offered so multiple headlights. I doubt many saw it like this because the "headlights" were too close together. Jeremy, You remove the sides and deck and shorten the wheel base for an ideal tandem semi tractor. The red tractor is a shortened Ertl which left the factory the same length as the green tractor. John Are these still readily available? I can’t speak for Johns but the menards Mack style trucks I was buying and modifying were diecast. I literally just sectioned the chassis with a hack saw. Smoothed our my cuts and used Jb weld to reattach the sections. Good thing about in weld is you can file it and sand it. This new release truck appears to have the same setup or something close. So I’d say it’ll be a very doable modification on these as well. Where there’s a will there’s a way. I’ll share some pics when I get another one completed. Someone at Menards has a future in modern art ! Nice to see earlier body styles. Too bad I can’t get any. The REA one will fit on a lot of layouts. I'm thinking about ordering one. 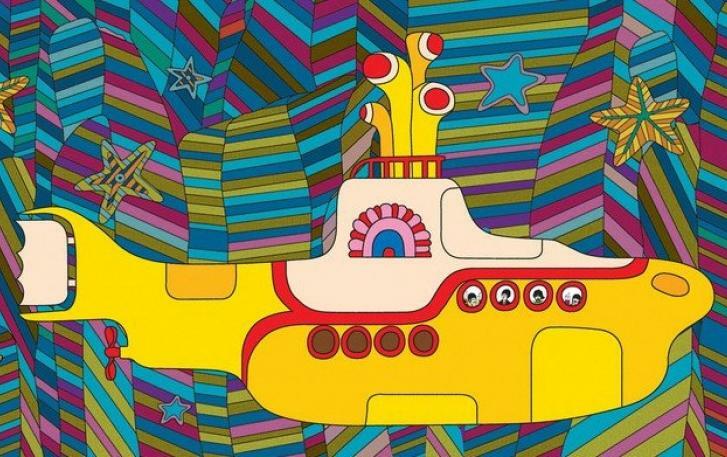 Super cool- gonna pick one up. If it was a GMC Cracker Box, I would have for sure turned it into a tractor/trailer for my dad. Dad hauled steel in a crackerbox. 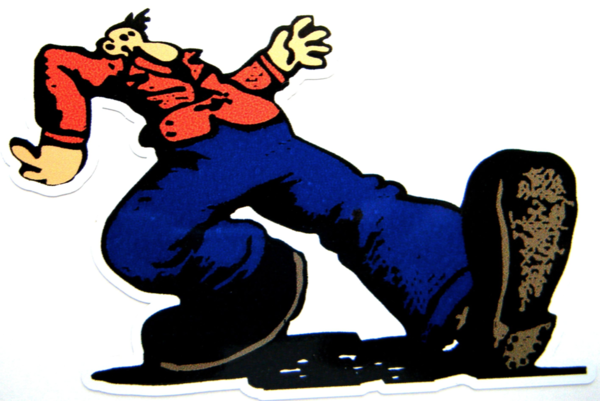 He said if there was snow on your boots in Ohio, it was ice by the time he was at Saginaw. I loved your guess of the Empire Diner. If Menards ever produce it, it might become their number one selling building. Will they ever be made without the led head and tail lights? Here is a Ford brochure that has these and many other neat trucks. I wish Athearn would cut you a deal on their 1:50 scale tooling. They made some great 56 Ford pickups and panels and the later C series cab over trucks. I asked them about reissuing them and they said they had no plans to because the trucks would be so expensive they wouldn't sell. I agree. No lights would have been nice. Also an undecorated one would also be acceptable. 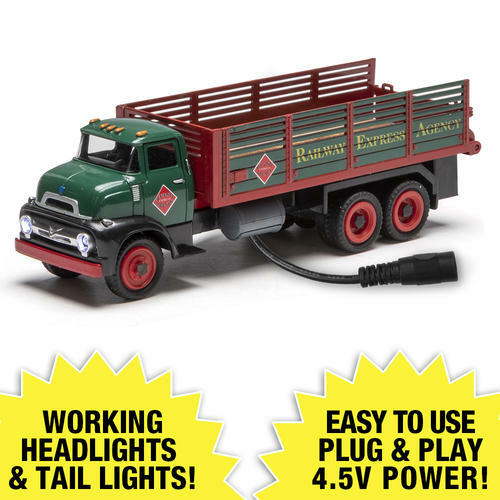 Perhaps one of the electronic guys could suggest a less conspicuous plug for the electrics--the one on the truck closely resembles the connection for the lights on my faux Christmas tree. The plug is a little big to tuck somewhere and the wire looks long. I'll have a better idea when I get mine but at least the wire their using is black which is a little more inconspicuous. So What we are looking at over here is a 1956 Ford C.O.E.... Nice and different! Me too, however being the cheapo I am I will order one when we get free trees. And I can sneak it past the wife. Weren't we told not to comment about California? Purchased 8 items this week and 7 cause cancer in California according to the label. We were studying these last night. Very cool and period correct for what I'm doing! I really like the color of the Vetter Sash and Doors. But I dont have that building yet. : ) As for the cord. I will just run it straight down through the top of the layout. Just like any other lit vehicle. right?? That’s all I’m going to do. Just like the buildings drill a hole and run it underneath. This would be my first lit vehicle and I'm happy Menards is doing some non-modern accessories that fit into a layout designed for an earlier time period, but any concerns that someone comes along and says, "Hey, nice truck" and grabs it off the layout and rips the wiring out or do I just need to put up a sign that says, "Please Do Not Touch" ? Nice trucks! I'll add a vote for future unplugged versions too. 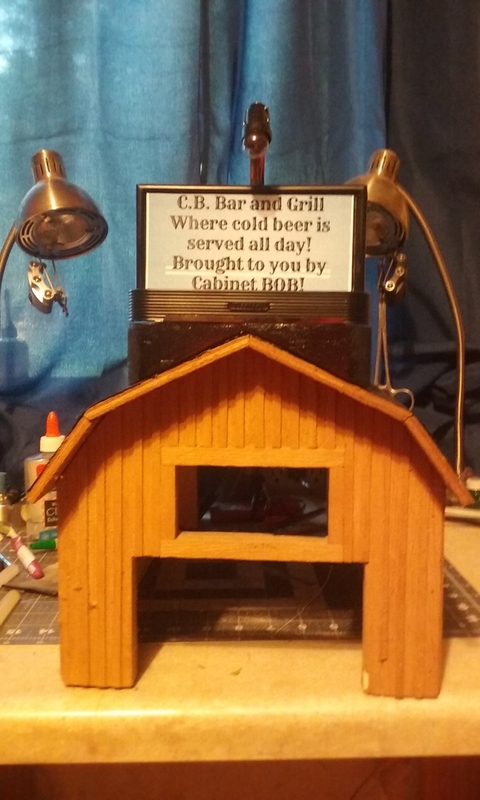 Cabinet Bob - so the other clues fall in line, but I'm stumped on the A..B.. one. What am I missing? Connect a bare wire to the metal cab . . . . 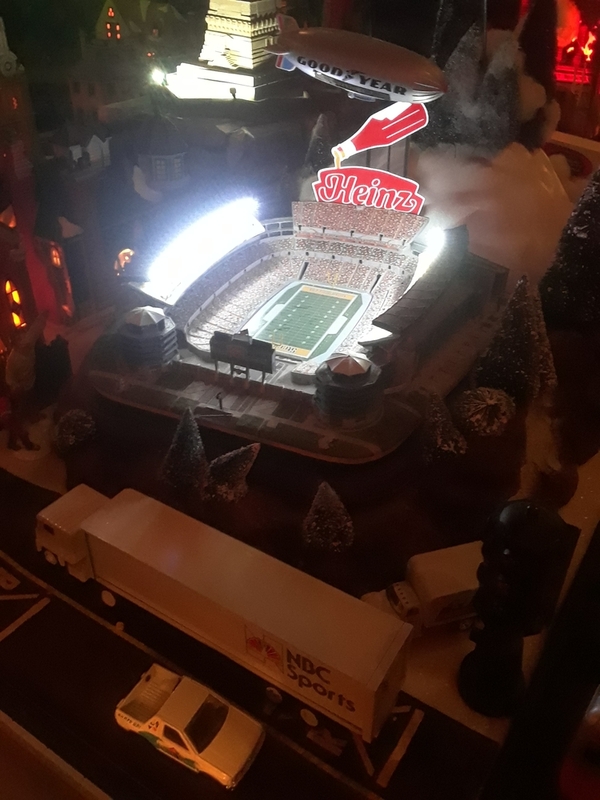 I have used the lighted cars and trucks from Menards in lots or parked by just drilling a hole and putting the cord thru the table, it can't be seen and in the future if you want them lighted it's right there. Simple. 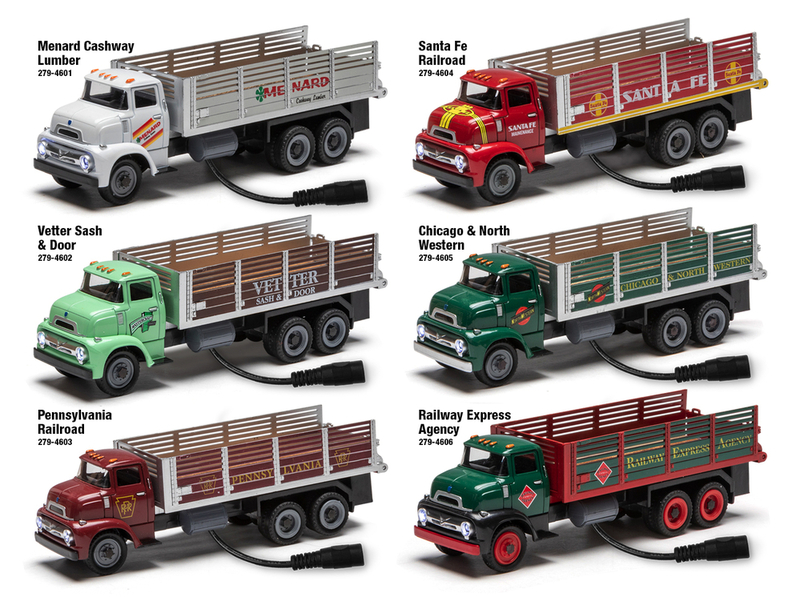 DITTO - Not crazy about the plug-in feature but the trucks themselves are great looking. I think if the lighted vehicles just had a female jack rather than that BIG UGLY pigtail I be inclined to purchase a few. That is correct. each pigtail is about a foot long which has a female end on it. A foot long? OK now im going to order 2 vetter trucks AND the danged building !!!! WOOO HOOO. The trucks are a great add for earlier layouts. If you don’t need the lights, a pair of wire cutters will solve the problem. Why? 1/50 is too small. I have one Ford flatbed and it looks way out of place although not quite as bad as the oversize 1/43 stuff. What I'm referring to is a female jack mounted on the under body, not a pig tailed jack. 1/50 is s LOT closer to 1/48 than 1/43. So are these Menards trucks closer to 1:50 scale than 1:43 scale? Menard's list as 1/48....if true PERFECT.......someone is making 1/48 vehicles!!! How about a Police Car with flashing lights? I'm just not that picky and I understand how expensive tooling is. I even use 1/43 vehicles. Speaking of, I put a few of those in my Menards bag along with some train cars and got in on the 15% off bag sale this week. They have an RV now and some Tractor Trailers that are bout the size of the ones Lionel used make. I will probably put the trailer on a flat car for some intermodal action. I find that 1/50 is ok for steam era trains, but when I am in modern diesel era I'll use 1/43 instead. American Materials Plant #2 is coming this week.